The design is an addition to an existing 1940’s single-story, 2-bedroom home. The renovation includes keeping the foundation and a portion of the front of the house and adding a second story along with a 3-car garage, new kitchen, sunroom, library and 3 bedrooms. Also included are a bonus room, new basement under the garage and a 3-season room. 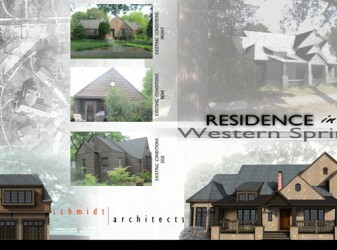 Schmidt Architects is very excited to be a part of the team designing a..